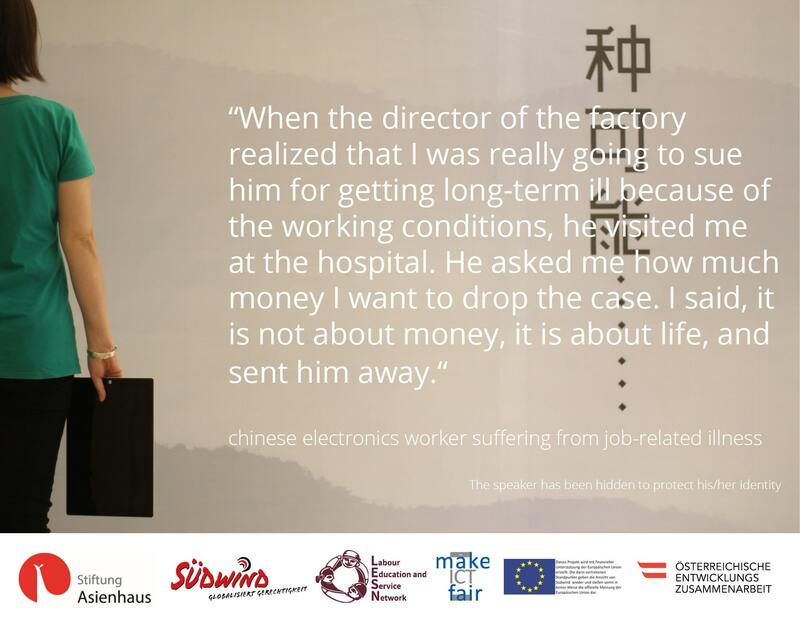 Our 2018 twinners from Südwind Austria and Labour Education and Service Network, HK, have promoted a foto campaign against last week’s Black Friday, depicting IT company workers commenting on their abysmal working conditions behind. 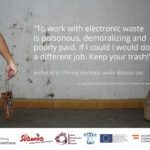 Their aim was to give these persons a voice that rarely gets heard through the noise made by multinational campaigns offering cheap deals to raise electronics consumption worldwide. Being aware of the conditions behind the production of these goods should be in the consumer’s mind. 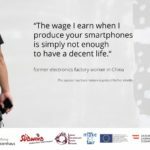 Learn more on how to make an impact and promote fair electronics here (German). Network Bewust Verbruiken and the Institute for Sustainable Environment and Energy (ISEE) both focus on sustainability and thus put all their efforts in environmental protection. 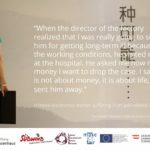 The two NGOs exchanged on the building of green swap spaces in communities and shared best practices in promoting sustainable consumption by sharing, swapping and repairing. Recycling, re-using and repairing are the future. 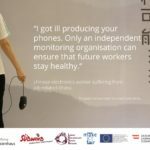 The Wuppertal Institut is as committed to prolonging the life-cycle of textile industry products as the much younger NGO Blue Sky 4 Children is. 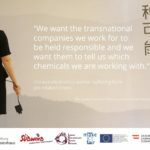 Their cooperation highlights the problem of the highly polluting and wasteful industry and introduces new methods of NGO involvement in fighting it. Both want to establish an online platform and the continuous sharing of information on environmental public interest litigation cases to improve professional capacities in environmental law litigation worldwide.